Discover Lehigh Valley, the area’s destination marketing organization (DMO), was born in 1984 when the Northampton County Tourism Council and the then Allentown / Lehigh County Tourist and Convention Bureau approved a merger to form the Lehigh Valley Convention and Visitors Bureau. Since then, much about Lehigh Valley and Discover Lehigh Valley, has grown to attract more visitors who spend their hard-earned money to enjoy the region’s attractions, events, restaurants, and more, helping the area’s economic climate flourish. With the advent of exciting attractions such as Sands® Bethlehem and ArtsQuest™ Center at SteelStacks™, the newly remodeled Crayola Experience™ and dining scene in downtown Easton, and the just opened PPL Center in Allentown, Lehigh Valley will continue to be a wonderful place not only to live, but for others to visit and enjoy. Some major events along Discover Lehigh Valley’s timeline are as follows. 1985: Mike Stershic became the Lehigh Valley Visitors and Convention Bureau’s first executive director at the first office opened in the ABE Terminal Building in Allentown. 1986: The Lehigh Valley Convention and Visitors Bureau’s corporate mission was defined as “an independent nonprofit corporation. It is composed of members whose goals are to develop and promote the combined resources of Lehigh Valley as a travel destination for the area’s economic benefit. 1988: Lehigh Valley Convention and Visitors Bureau gave away a 1988 Plymouth Horizon as part of a promotion to make local residents and visitors aware of the many attractions and recreational opportunities available in Lehigh Valley. 1989: Lehigh Valley Covered Bridge brochure was developed and tour signs were installed by the counties. 1991: Lehigh Valley Convention and Visitors Bureau coordinated the first promotional brochure for the Delaware and Lehigh Navigational Canal Heritage Corridor. 1995 - 2000: Lehigh Valley Convention and Visitors Bureau coordinated the development of the Lehigh Valley Wine Trail. The official Lehigh Valley Tourism website was launched with more than 100 pages of content. 2003 - 2006: Historic Bethlehem Partnership accepted as a Smithsonian PA Affiliate. Lehigh Valley Convention and Visitors Bureau’s Board of Directors passed a resolution in support of a slots casino in Lehigh Valley. 2007: Lehigh Valley IronPigs unveiled their first logo. 2010: Lehigh Valley Convention and Visitors Bureau changed its name to Discover Lehigh Valley. 2011: Discover Lehigh Valley, through a Regional Marketing Partnership with the state of Pennsylvania, introduced Stay & Investigate: Haunts & Historic Horrors, featuring Lehigh Valley locations said to be haunted. 2012: Discover Lehigh Valley hosted the Mid-Atlantic Tourism Public Relations Alliance (MATPRA) Media Marketplace, welcoming DMOs and travel writers to the region for four days of education and fun. 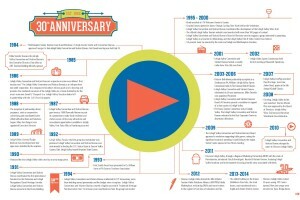 2013 - 2014: Discover Lehigh Valley turned 30 years young. PPL Center opened. New bus wraps were unveiled on Trans Bridge Lines buses. Discover Lehigh Valley officially celebrated its 30th birthday at its Annual Meeting held on Thursday, October 23 at Allentown Brew Works FIVE.